A Data Scientist combines statistical and machine learning techniques with Python programming to analyze and interpret complex data. A Python Developer uses their programming skills to wrangle data and build tools for data analysis. A Data Analyst uses data visualization and manipulation techniques to uncover insights and help organizations make better decisions. Discover data structures like dictionaries and DataFrames, visualize data with matplotlib, and learn the art of writing your own Python functions. Learn to import data from Excel files, SQL databases, SAS, and the web. Clean your data so it is ready for analysis. Harness the power of tools such as pandas and SQLAlchemy so you can extract, filter, and transform your data quickly and efficiently. Learn the art of science of Machine Learning and come away being a boss at prediction, pattern recognition and the beginnings of Deep Learning. Master the basics of data analysis by manipulating common data structures such as vectors, matrices and data frames. Level up your data science skills by creating visualizations using matplotlib and manipulating data frames with Pandas. Learn how to use the industry-standard pandas library to import, build, and manipulate DataFrames. Learn the art of writing your own functions in Python, as well as key concepts like scoping and error handling. Join two or three tables together into one, combine tables using set theory, and work with subqueries in PostgreSQL. Learn how to build and tune predictive models and evaluate how well they will perform on unseen data. Continue your journey to become an R ninja by learning about conditional statements, loops, and vector functions. Learn the fundamentals of neural networks and how to build deep learning models using Keras 2.0. Learn to import data into Python from various sources, such as Excel, SQL, SAS and right from the web. Continue to build your modern Data Science skills by learning about iterators and list comprehensions. This course will equip you with all the skills you need to clean your data in Python. Learn more complex data visualization techniques using Matplotlib and Seaborn. In this course, you will learn to read CSV, XLS, and text files in R using tools like readxl and data.table. Improve your Python data importing skills and learn to work with web and API data. Build the foundation you need to think statistically and to speak the language of your data. In this course, you'll learn the basics of relational databases and how to interact with them. You will learn how to tidy, rearrange, and restructure your data using versatile pandas DataFrames. Learn how to cluster, transform, visualize, and extract insights from unlabeled datasets using scikit-learn and scipy. This course will equip you with the skills to analyze, visualize, and make sense of networks using the NetworkX library. Learn to perform the two key tasks in statistical inference: parameter estimation and hypothesis testing. 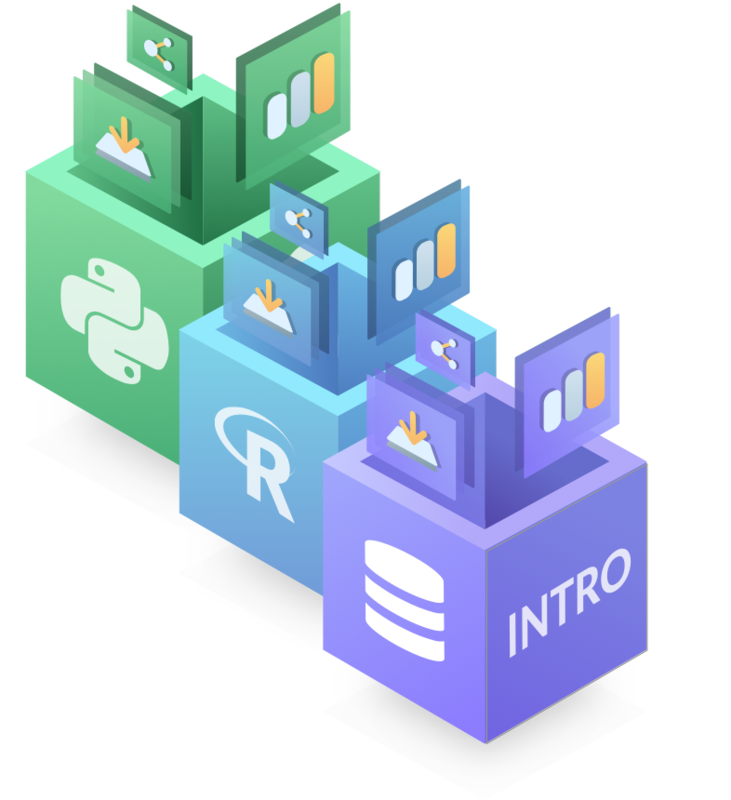 This course is all about the act of combining, or merging, DataFrames, an essential part your Data Scientist's toolbox. This course is an introduction to version control with Git for data scientists. Parse data in any format. Whether it's flat files, statistical software, databases, or data right from the web. Learn how to create versatile and interactive data visualizations using Bokeh. Learn how to easily manage your software using conda. 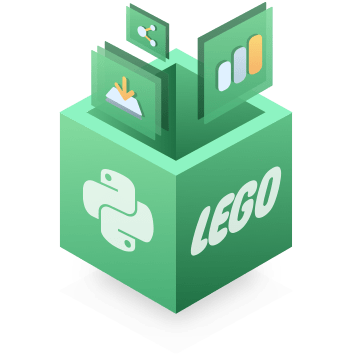 In this project we will explore a database of every LEGO set ever built.